May your 2012 be full of laughs and success. Happy New Year, Lacey! Health, love and happiness to you. Happy New Year to you too, Lacey!! Happy New Year Lacey, hope 2012 is a good year for you. 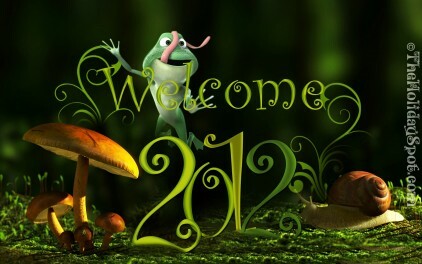 Wishing you lots of lovely things in 2012. Best wishes for the new year Lacey. Hope the year just gets better and better for you. Best wishes for the new year! May it be full of blessings. Here's to a wonderful new year filled with nothing but the best, Lacey! I'm late, I know, but I've only just got back online. Happy NY to you! !